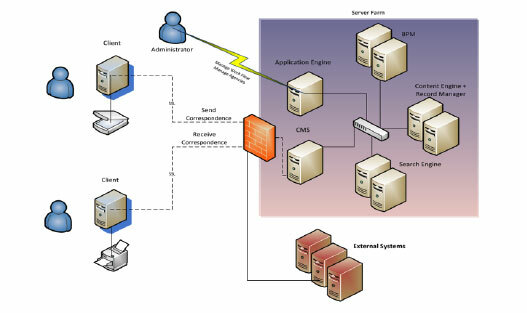 CMS is a web based application Built over ‘IBM FileNet P8’ platform. 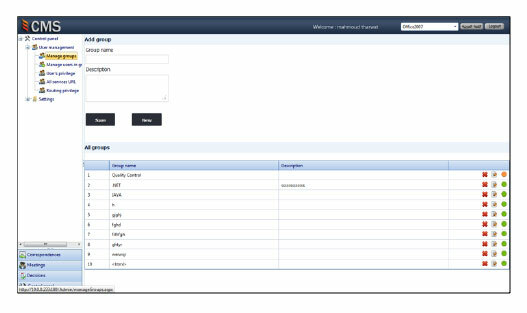 It exploits the use of ‘IBM FileNet CM’ and ‘IBM FileNet BPM’ to manage the inbound and outbound correspondence of any enterprise. 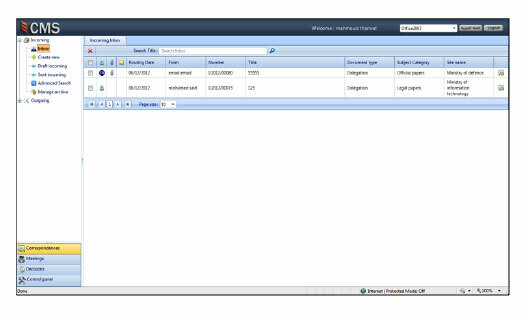 Meanwhile, it uses FileNet record management policy to manage records retention policies and life cycles. CMS provides tracking and control over the correspondence internal life cycle. IT allows organizations track correspondence from a variety of resources including scanned letters, e-mails, faxes, and electronic documents, and manages them through automated processes to ensure proper handling of requests in a timely response. It provides a secure and safe document storage that secures access and prevents documents loss.